Australia’s leading innovator in animal health and welfare for a range of animals - including birds, reptiles, small animals, dogs, cats and even zoo and marine species. Imox Tablets will eradicate internal and external parasites from the hunting bird. 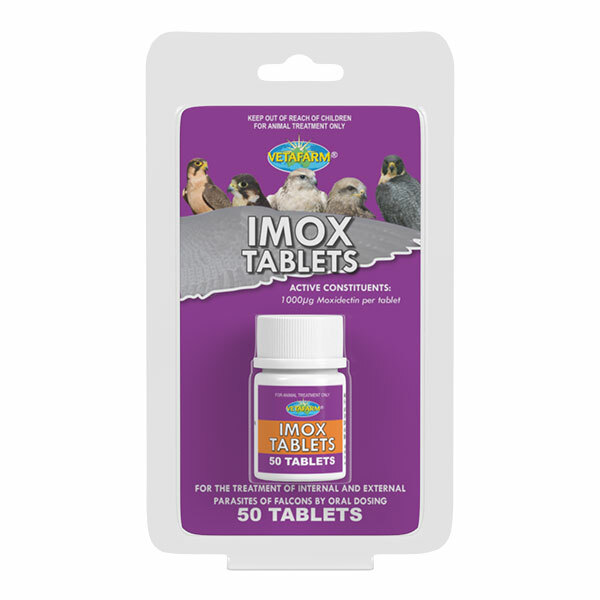 The active ingredient within Imox Tablets has an extended activity in the body to allow excellent treatment of a wide range of nematode parasites including Capillaria, Syngamus and Serratospiculum. To maintain parasite free birds treatment should be repeated every 10 – 12 weeks and attention given to preventing consumption of infected prey items. Give one Imox Tablet per 1kg (35oz) bodyweight by oral dosing. 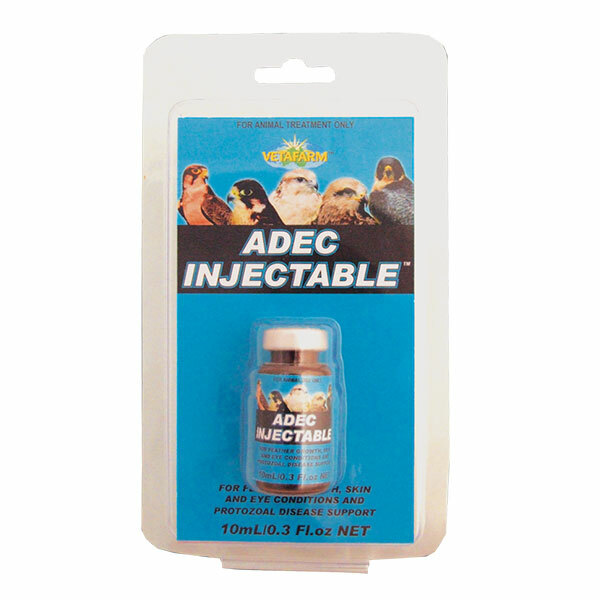 A high potency, low dose vitamin injection for all hunting birds. 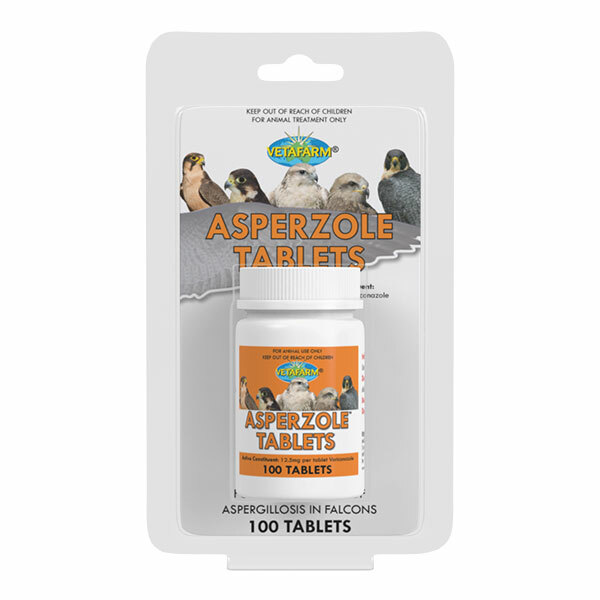 For the treatment of Aspergillosis in hunting falcons and pet birds. Wormer and coccidiosis treatment for falcons worms. © 2016 Vetafarm. All rights reserved.